Don’t Replace It – Repair It! Affordable Carpet Repair Services for your Home or Business. 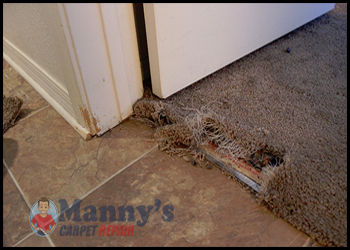 We are your carpet stretching and repair experts in the Tampa Florida and surrounding areas. 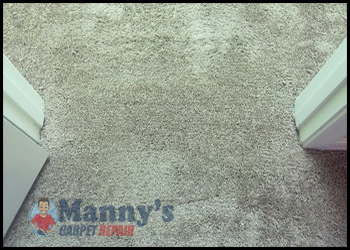 If you have wrinkles in your carpet or if your pet tore a hole in your carpet, we can help! We have over 10 years of experience and expertise to bring directly to you. We offer free estimates to fix your carpet. If it is carpet related, we know how to fix it! We can stretch and repair rooms with or without furniture. In many cases, we prefer to stretch the entire room and not just the visible wrinkles. 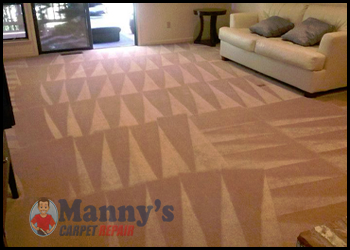 This way we can guarantee our work and give you a life-time warranty of the work we perform on the carpet, knowing that you won’t have any future problems. We have seen many cases where we have come in after other companies have stretched carpets for a client to fix what should have been done to begin with. 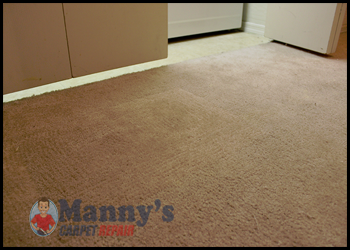 There are many companies out there who just are not experienced enough to stretch carpet properly. 1. Pre –inspection and walk-though (we will look at the layout of the room/rooms of the home and determine the best direction(s) to stretch). We are experts in repairing all kind of carpet issues including carpet seams, burns, you name it. 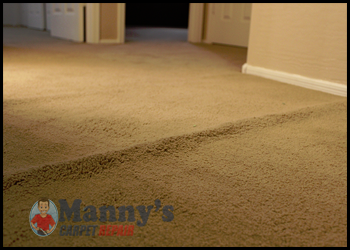 We repair and stretch all types and styles of carpet including Cut Pile (Saxony, Texture, Velvet/Plush, and Frieze), Level Loop Pile (including Berber), Cut and Loop Pile, Multi-Level Loop Pile, and Carpet Tile. We can do all sorts of color repair as well. Do you have a bleach spot? No problem. We can either dye the spot back to look almost like the original color or patch it. Just because Fido all of the sudden decided to dug a hole into your carpet, don’t be tempted to think that you need to replace the whole room with new carpet. Nothing couldn’t be further from the truth. Take a look below to see some of the pet damage that we’ve come across in our client’s homes. After returning from work one rainy day customer found this damage on the carpet caused by her cat. This is a very common problem that we come across a lot. No worries… as you can see you can’t really notice there is actually a patch there. Customer was very happy after we show her the finish job. Problem solve! • Furniture stain removal and more. We use only the best cleaning products to get your carpets cleaned the right way. Our cleaning products are safe for children, pets and the whole family. We’ll give you an instant free, over the phone quote! 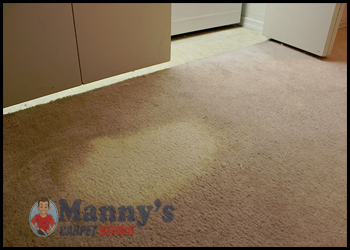 Getting your carpet repaired instead of replacing will allow you to save hundreds or perhaps thousands of dollars. Don’t Replace It, Repair It! 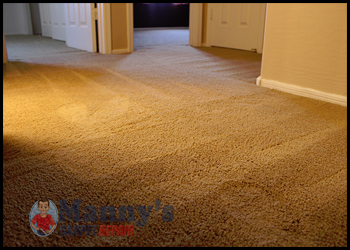 For over 10 years Manny’s Carpet Cleaning & Repairs has been cleaning and repairing damage carpet in Riverview, Lithia, Brandon, Apollo Beach, Tampa and all surrounding areas. We offer affordable prices and a standard 1 year warranty on all repair’s. 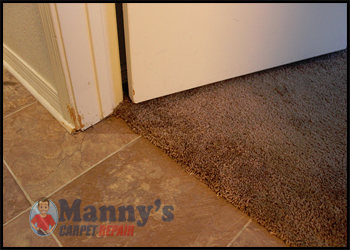 When you call to get your free carpet repair estimate, ask us for details about our carpet repair guarantee. We make sure you’re 100% pleased with the workmanship we provided for you. 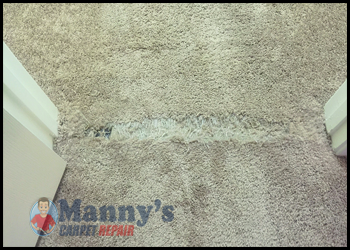 Our commitment and goal is customer satisfaction with a repair that will last for a life time..
You won’t find a more affordable option in the Tampa and the surrounding areas to repair your carpet. We are the locally owned and operated, honest and trustworthy carpet repair company you can trust! Manny came out today to complete cleaning and stretching for 2 bedrooms in my home. I am completely shocked at how great it came out and for a very reasonable price. We are here Mon-Sat from 9am-6pm. Call or Fill Out Our Online Contact Form for help.